Welcome home to the Sunny Starter! 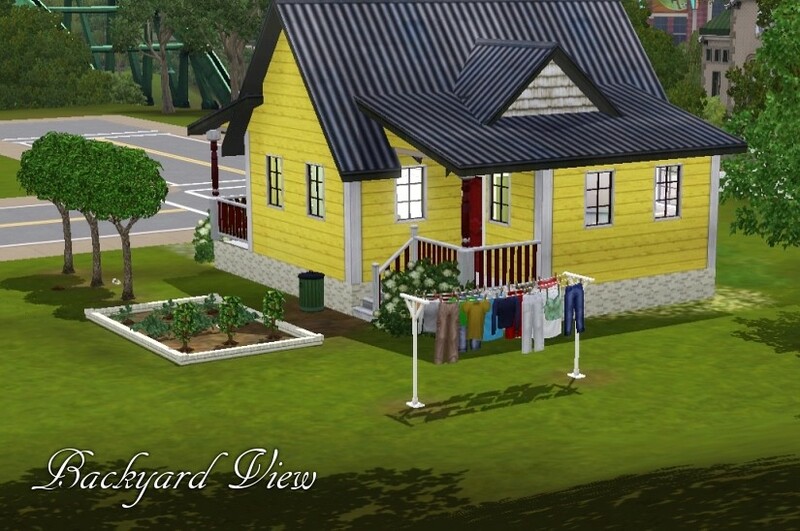 5) Clothesline out back with a dry load of laundry, ready for that "Clean Clothes" moodlet! 6) All appliances and plumbing fixtures are high-end! 7) All appliances and plumbing fixtures have been upgraded! 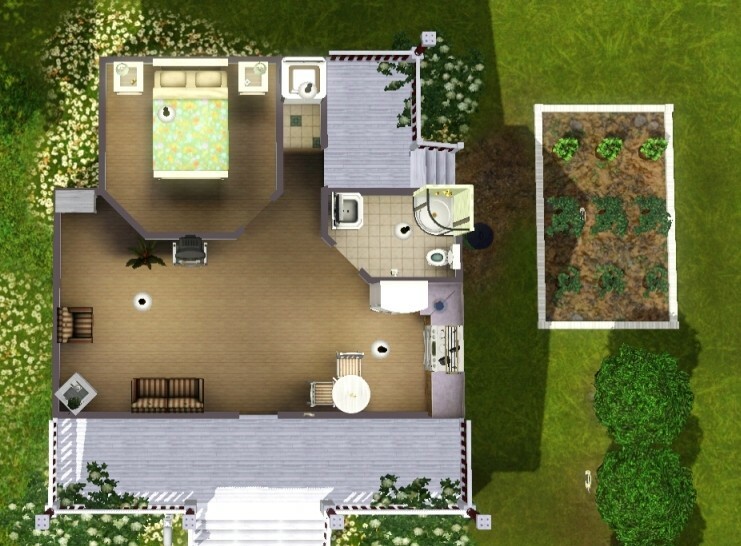 I have play-tested this house extensively, for well over three in-game weeks, and have ironed out all the problems. The one small problem that keeps happening is that, for some reason, the paperboy/girl seems to be obsessed with sticking newspapers as far under the bush to the left of the mailbox as possible ... so if your Sim goes outside and suddenly gets the "Disgusted" moodlet for no apparent reason, move the bush. Chances are a pile of expired newspapers hidden out of sight is the culprit. Please also note the teeny lot size. This is to keep the house a reasonable "starter" price. With the new Ambitions update that lets us edit our towns, however, it shouldn't be too big of a problem -- if you don't have any 20 x 20 lots existing in your town (and, let's face it, there aren't that many, at least in the Maxis-made towns), just plop a new one down on a relatively flat area of land. There, done! 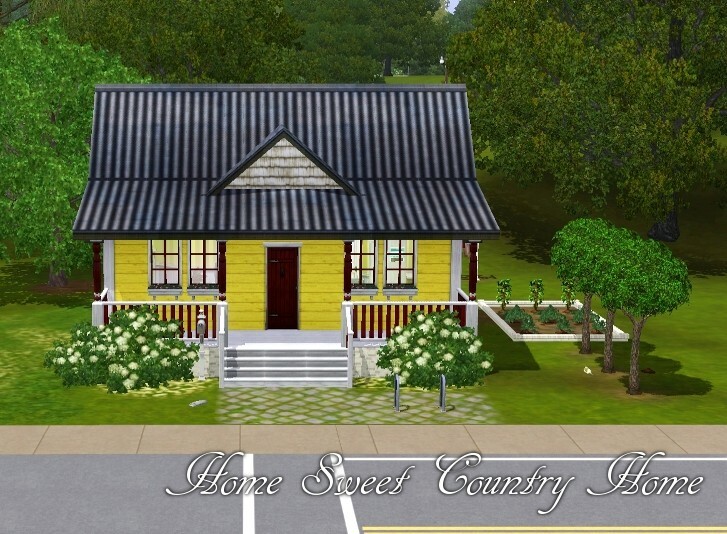 No CC or Store items were used to create this house! Please note, however, that you will need both World Adventures and Ambitions to play the house. 133 people have said thanks to Nukapei for this download. "Das Winzig Haus" - 10x10 Mini-lot!